Starlan offers three complete e-commerce packagesfeaturing everything from client information protection to data backupso no matter the size of your online business, we have a plan thats right for you. Contact us for additional details. The Silver plan gives you basic security coverage. The transaction server is hidden behind not only a firewall but the web server also, thus giving important data§such as credit card numberstwo layers of protection. Our automated, centralized tape backup system records your data nightly. 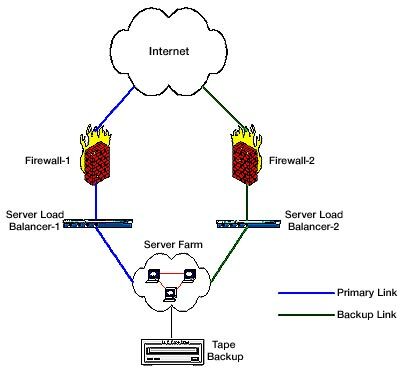 Incremental and full backup options are available, as well as off-site backup tape storage. The Silver plan is perfect for modest- to medium-sized online businesses. The Gold plan gives you the security coverage of Silver, plus server load balancing. The more traffic a single server is expected to process, the slower it does so and the worse web performance becomes. The Gold plan includes multiple servers that share the load between them. This allows for server redundancy, permitting web service to continue uninterrupted even if one (or more) server is down. The Gold plan is ideal for high-traffic online businesses. The Platinum plan includes all the benefits of the Gold, but extends redundancy to the load balancers and firewalls as well. Your e-business has a completely redundant internet connection. Should the system detect a failure at any point along the primary link, the backup link is immediately activated. The Platinum plan is best for major e-commerce sites, for which a momentary interruption in service is not an inconvenience but an impossibility.